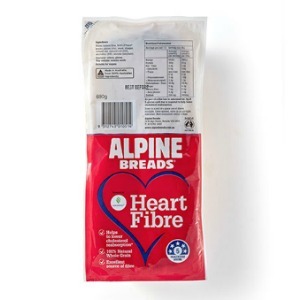 Alpine Heart Breads are made using the CSIRO developed BARLEYmax™ which is said to have twice the amount of fibre than regular barley. 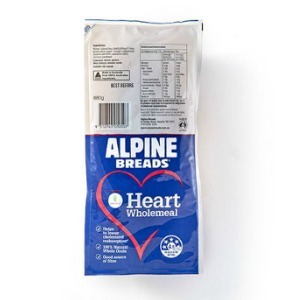 Alpine states that the inclusion of BARLEYmax™ provides a minimum of 1g of beta-glucan per serve which it states can help lower the amount of biliary cholesterol that is re-absorbed by the body as part of a diet containing 3g of beta-glucan per day. 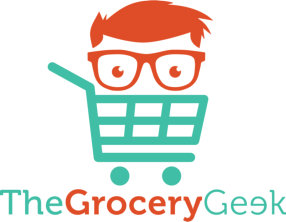 Helps to lower cholesterol re-absorption by the body as part of a diet containing 3g of beta-glucan per day.